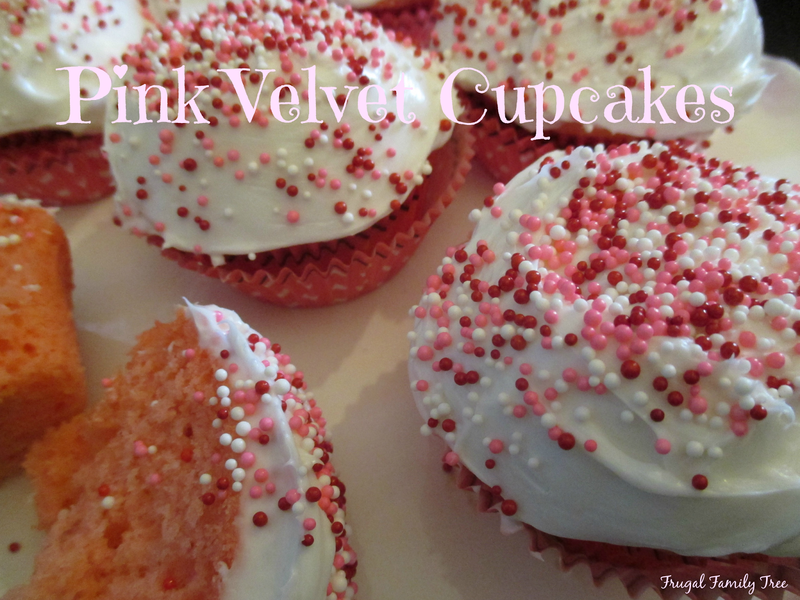 Have you ever tried Pink Velvet Cupcakes? Red Velvet flavor is pretty popular and I do love it, but pink velvet is made with buttermilk, and tastes so good!! 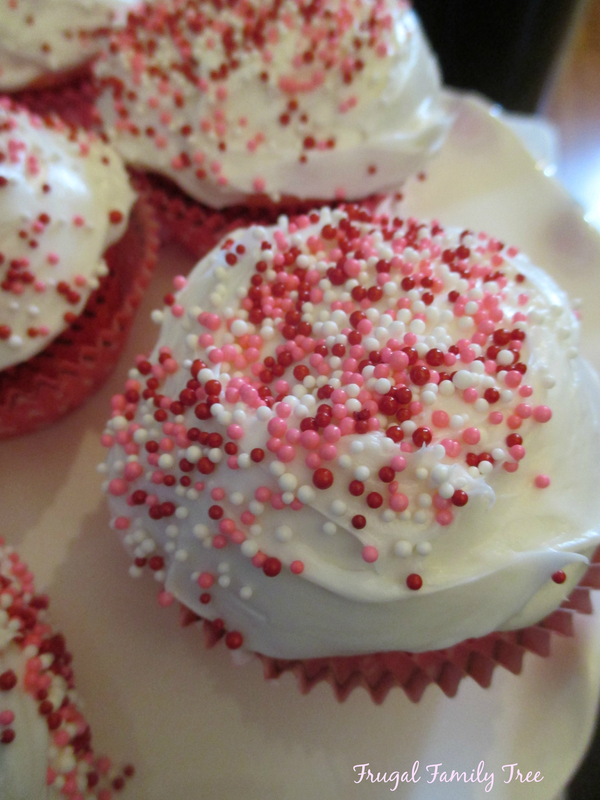 I made these cupcakes for an early Valentine's Day party, and they were a big hit. But Pink Velvet isn't just for that holiday, it can be used for little girl's parties, baby showers, and any spring celebration. I just think that they are so cute, and you can change the cupcake liners and sprinkles to fit the occasion. These cupcakes are topped with a delicious cream cheese frosting, and it's one of my favorite frosting recipes. I don't like to spend a lot of time on frosting, but it really does taste so much better when it's homemade. In a large bowl, cream the butter, sugar and food coloring until light and fluffy. Add eggs, one at a time, beating well after each addition. Beat in vanilla. Combine the flour, baking powder, baking soda and salt; add to creamed mixture alternately with buttermilk, beating well after each addition. Fill paper-lined muffin cups two-thirds full. Bake at 350° for 23-27 minutes or until a toothpick inserted near the center comes out clean. Cool for 10 minutes before removing from pans to wire racks to cool completely. With an electric mixer, beat the butter and cream cheese together, about 3 minutes until smooth. Scrape down sides of bowl to ensure even mixing. Beat in the vanilla extract just until mixed. Slowly add the powdered sugar and beat until desired thickness. Frost cupcakes with a spatula, and decorate with sprinkles.